The stunning new William Optics Gran Turismo 81 APO is the new jewel of the apochromatic refractor world. From the pristine white finish on the CNC to the elegant gold trim which has more than just good looks... New GT81 features a 3-element objective using high-quality FPL-53 extra-low dispersion glass that reduces any secondary spectrum to an unbelievable degree. 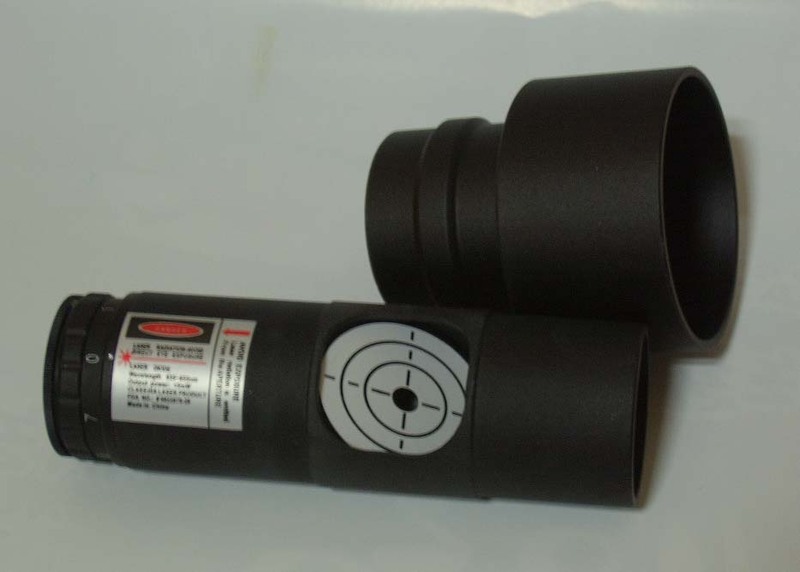 -Triplet air-spaced objective (FPL-53) in adjustable CNC machined ultra high precision lens cell. -Each lens is Fully Multi-Coated with a special super-high transmission coating (STM Coating) on -all surfaces. -This F/5.9 lens is ideal for astrophotography. -Extra-smooth 360 deg. 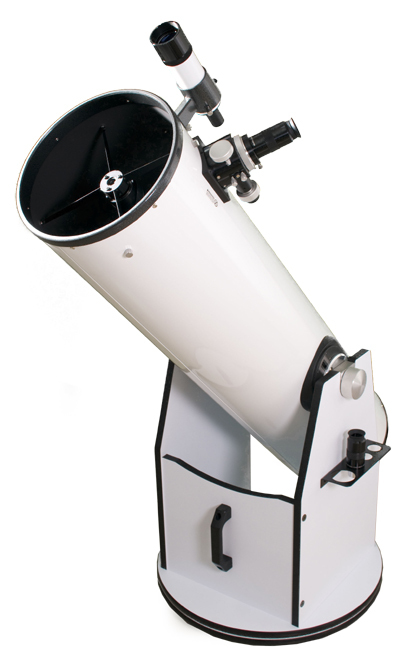 rotatable 2" R&P focuser with 1:10 dual speed: a treat to use during astrophotography. No image shifting! 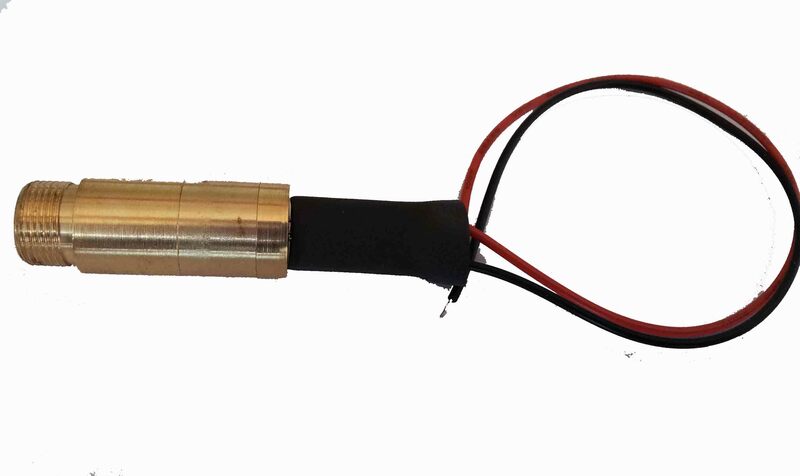 -Comes with two locking screws on angled positions for heavy load applications. -Large aluminum knob with installed thermometer. -Stainless steel reinforcement inserts on both sides and on the back to allow heavy loading without problems. 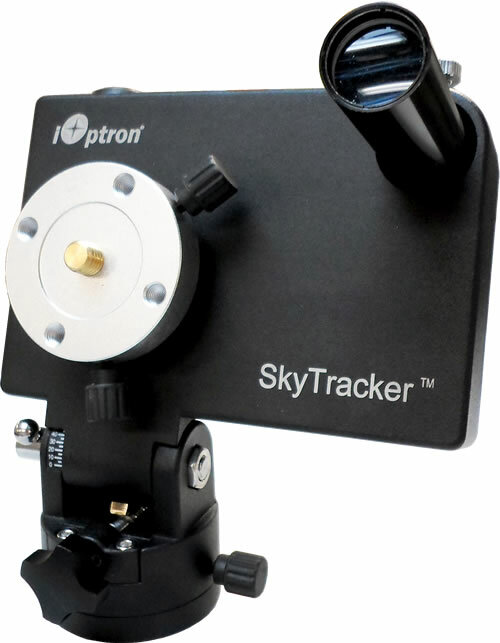 -Graduated scale for precise camera alignment. 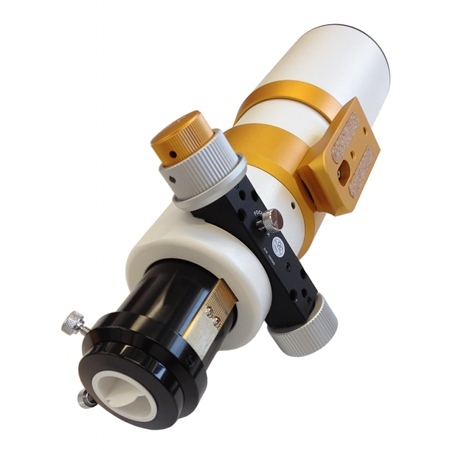 -Pure William Optics quality fit and finish: powder-painted white CNC-machined aluminum tube, gold trim finish, retractable dewshield, 360 deg. rotatable R&P focuser, dewshield cap. -Very compact for carrying on flights. -2" & 1.25" adapter included in the price. -Carry handle with V-shape night glowing illuminator. -90mm mounting rings are optional. -Though you will never need it, you have a 2-year warranty from WO, and the certainty that we will be there to assist you even beyond that, if you need!